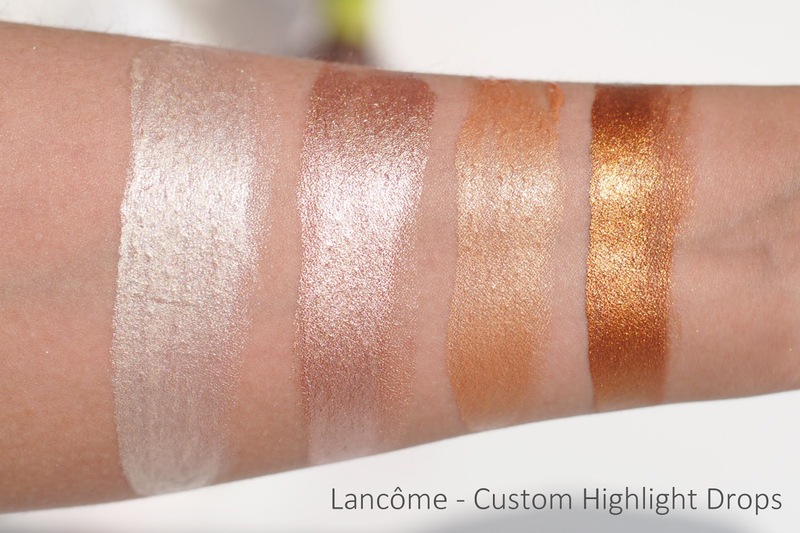 Lancôme released 'custom glow drops' and of course I had to swatch them for you guys, because who can resist a gorgeous highlighter?! The new Custom Drops, or Teint Idôle Ultra Wear Custom Drops as they're called fully, come in 4 shades. 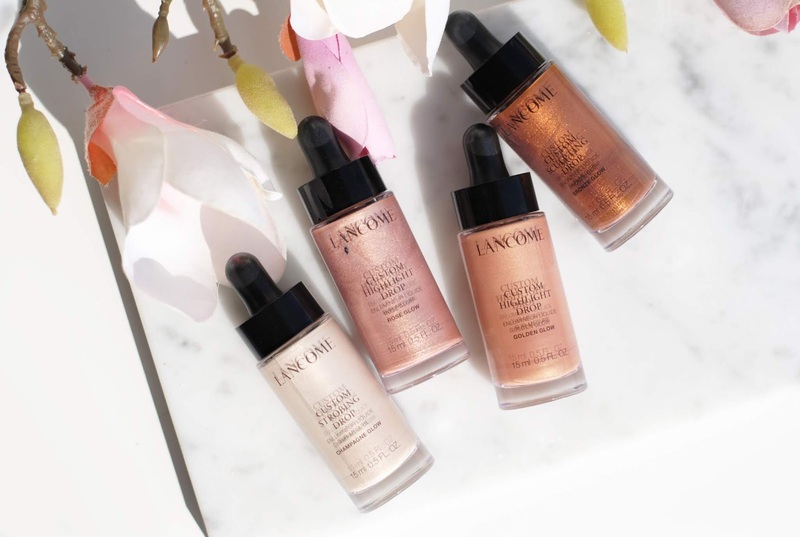 All shades can (and actually are made to) be mixed with your foundation, so they mix really easy with any foundation. But of course, you can also apply them directly on the skin. The formula isn't too runny, it's quite creamy for a liquid. So the ideal consistency for mixing ànd for applying it directly. 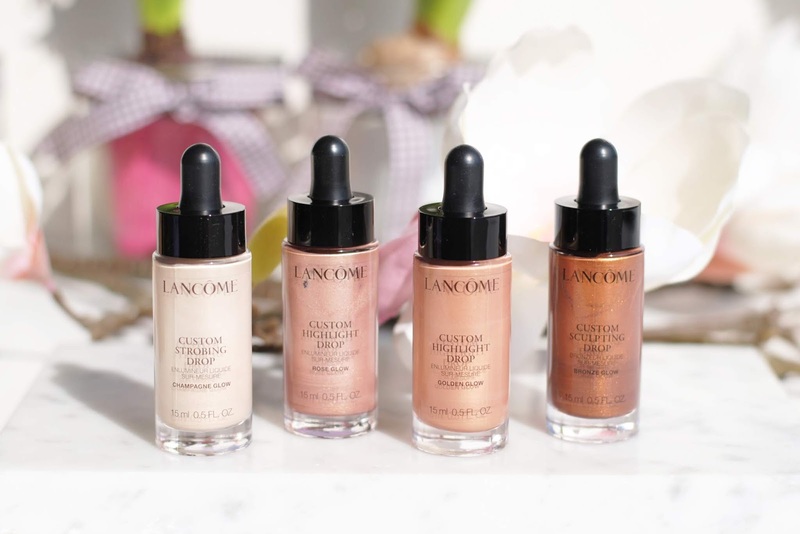 Champagne Glow is the lightest shade, it can be used to enlighten the skin - just use a drop in your foundation for a dewy look or apply straight to the cheekbones, nose bridge, the usual spots, for a glowy look. 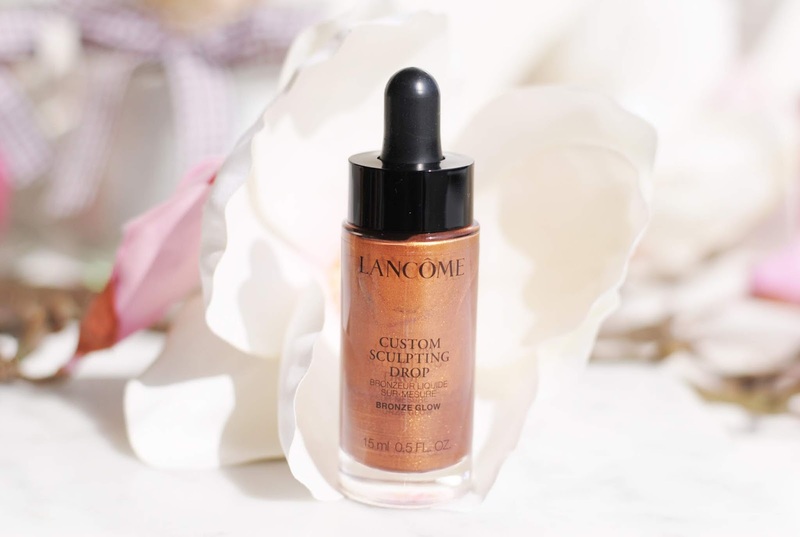 Rose Glow is a more delicate highlighter. Mixed with foundation is still gives a dewy effect, but less bright than Champagne Glow. 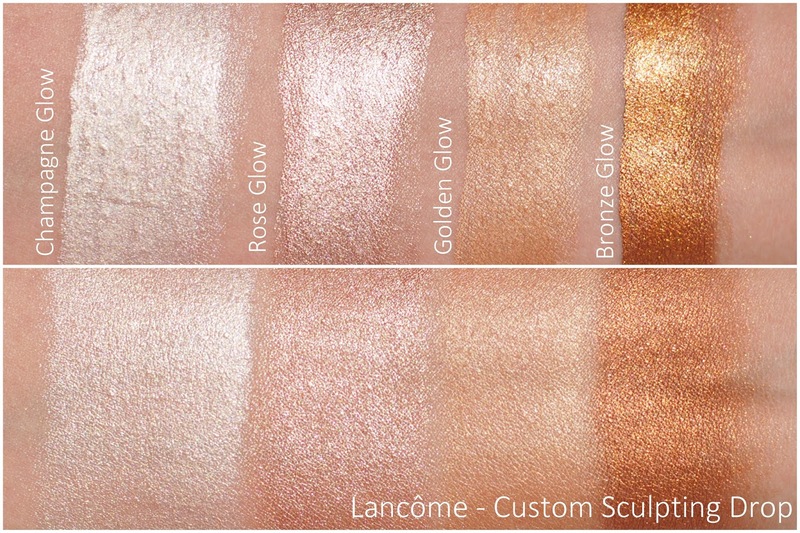 Rose Glow gives a natural and soft glow. Golden Glow is here to give fair skin tones a sun-kissed glow when mixed with foundation. 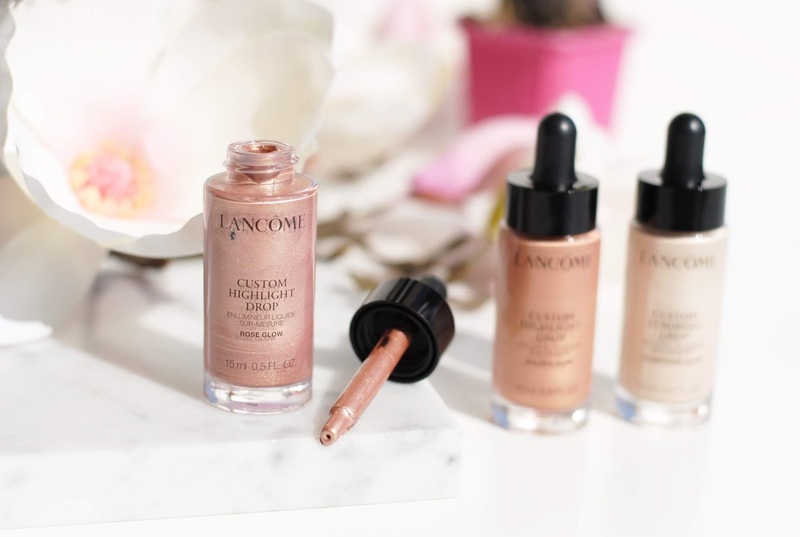 Darker skin tones can still use this one as a highlighter on itself. This one is less shiny than the others. Darker skin tones can mix Bronze Glow with foundation for a dewy and glowy look - fair and medium skin tones can use Bronze Glow as a subtle contour shade. And have you seen those swatches? The drops are all super shiny thanks to a high concentration of little pearlescent particles. I am absolutely loving them. The custom drops are a staple in every highlighter fans stash. The 4 shades are chosen well to suit all skin tones. And you can even mix these shades together as well. 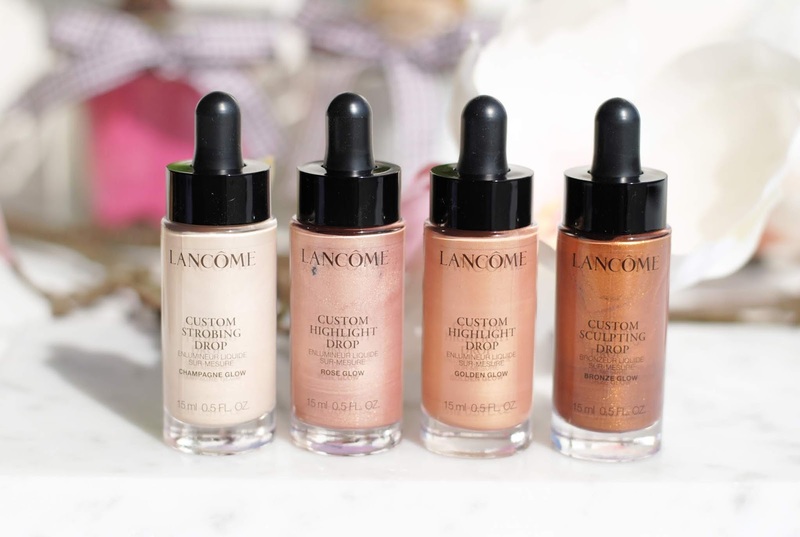 Have you tried these drops? Do you like liquid highlighters? Wow zo intense !! Had ik niet verwacht eigenlijk.. These highlighters look so great and vibrant! The Rose Glow is the one that stands out the most for me! Those are gorgeous love the highlighters and the pictures are beautiful!